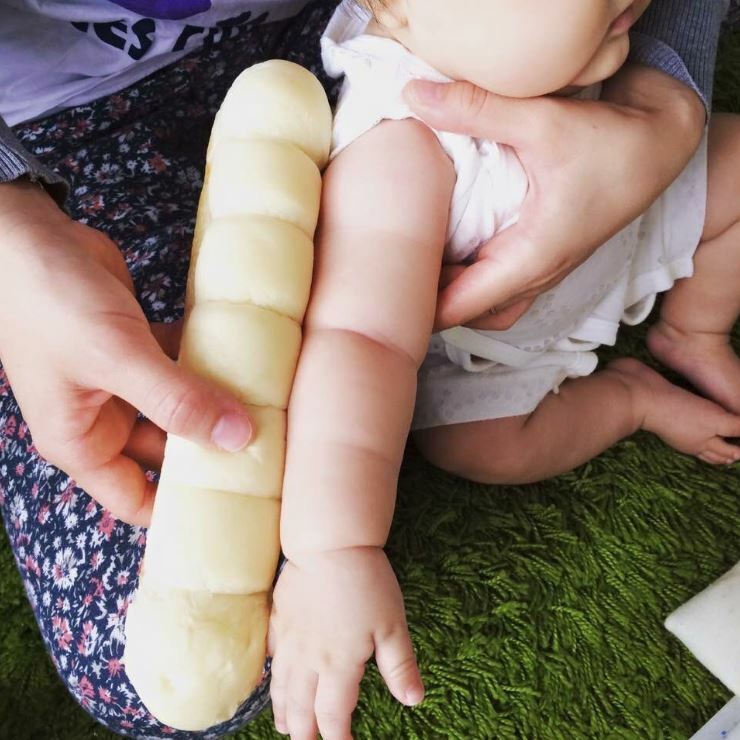 The latest social media craze sees Japanese parents comparing their babies’ chubby arms to doughy loafs of bread – and it’s weird. Hundreds of parents are taking to Twitter under the hashtag, #我が子の最強ちぎりパン画像 – or – #MyBaby’sGotTheBestBreadPhoto. The snack being used for reference is the popular ‘pull-apart bread’ available in Japanese 7-Eleven stores, and on closer inspection, the breads’ ridges do sort of look like chubby baby arms. At least this viral craze isn’t taking a page out of the ‘A4 paper’ or ‘iPhone 6 knees’ trends. We’re glad it involves cute kids, instead.